Shopping for a large SUV in the Tyler area? Move the 2019 Chevy Suburban and the 2019 GMC Yukon to the top of your list. Both of these SUVs offer plenty of seating, safety, and comfort in an attractive exterior package, but only one can be your next vehicle purchase. 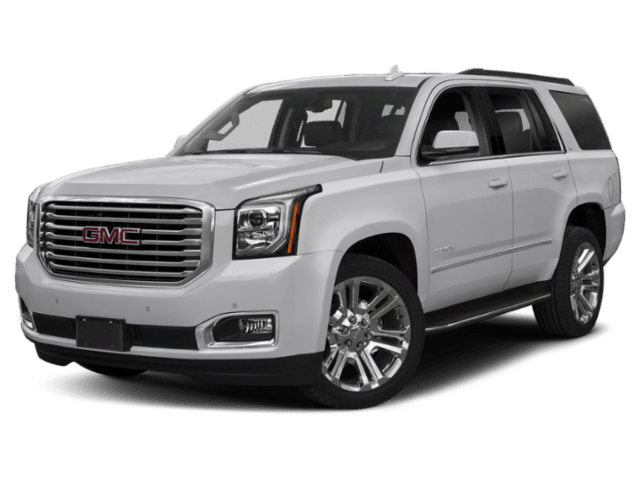 Find out the difference between Yukon and Suburban when you compare the Chevy Suburban vs GMC Denali. Large SUVs need to be both comfortable for everyone inside, provide the tech features any Gilmer driver would want, like 4G WiFi connectivity. Both interiors provide 42.8 inches of front headroom, 45.3 inches of front legroom, and 64.8 inches of front shoulder room, but that’s where the similarities end. 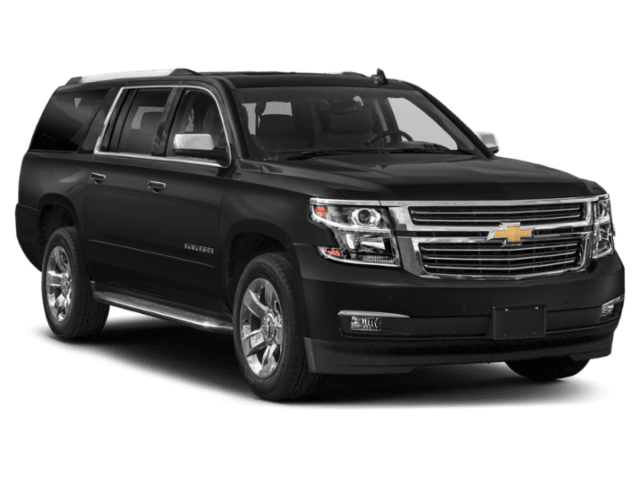 2019 Chevy Suburban Dimensions: This SUV offers seating for up to nine passengers, as well as 39.1 inches of second-row headroom, 39.7 inches of second-row legroom, and 65.1 inches of second-row shoulder room. Third-row passengers can get comfortable for long trips with 38.5 inches of headroom, a spacious 34.5 inches of 3rd-row legroom, and 62.6 inches of shoulder room. 2019 Chevy Suburban Storage: The Suburban interior also offers tons of storage space with 100.3 cubic feet behind the first row, 63.6 cubic feet behind the second row, and 31.6 cubic feet behind the third row. 2019 GMC Yukon Dimensions: The GMC SUV offers seating for up to eight passengers, 9 with the SLE upgrade in trim level, as well as 38.7 inches of second-row headroom, 39 inches of second-row legroom, and 65.1 inches of second-row shoulder room. Third-row passengers get less, dealing with 38.1 inches of headroom, only 24.8 inches of legroom (nearly 10 inches less than the Suburban! ), and 62.6 inches of shoulder room. Performance is more than just numbers, it’s how Winnsboro commuters know that they can power through the drive. If you compare Suburban vs Yukon mpg, the fuel economy stats are the same at 18 mpg for combined city/highway driving. The Suburban can take you farther with its 31 gallon tank, though, since the Yukon can only hold 26 gallons of fuel. 2019 Chevy Suburban: The standard engine is a 5.3L EcoTec3 V8 engine paired with a six-speed automatic transmission that delivers 355 hp and 383 lb-ft of torque. The Suburban has standard rear-wheel drive, but four-wheel drive is available. There’s also an available 6.2L EcoTec3 V8 engine paired with a 10-speed automatic transmission that delivers 420 hp and 460 lb-ft of torque. 2019 GMC Yukon: The Yukon also has a standard 5.3L EcoTec3 V8 engine that delivers 355 hp and 383 lb-ft of torque. It has an available 6.2L EcoTec3 V8 engine that delivers 420 hp and 460 lb-ft of torque, but it’s paired with just an eight-speed automatic transmission. Two-wheel drive is standard, and four-wheel drive is available. Whether you’re comparing the Premier trim of the Chevy Suburban vs GMC Yukon Denali, the Chevy Suburban vs GMC Yukon XL, or the base trims of both, you’ll see that Chevy comes out on top. It offers more interior space, more standard safety, and more cargo space for Marshall families. If you agree, contact Peters Chevrolet Chrysler Jeep Dodge Ram Fiat to set up a test drive in Longview.